Greetings! Since we last visited in this column, the BGS 30th Anniversary Planning Committee has shifted into high gear as we rapidly approach The Event (Oct 8-10, 2015). I hope you all will attend our 30th Anniversary/Alumni Revisit Weekend! Register now at The Event. As part of the planning process, we have been “taking stock” of where we’ve been and where we are going. During our first 30 years, ~2,000 BGS students have achieved their PhD and moved on with their careers. The PhD training process has many positive consequences, both for each individual and for our collective research enterprise. It has contributed substantially to the post-PhD success of our graduates and to the continuing success of their advisors, including the generation of a considerable publication portfolio and many successfully funded grant applications. In a future ish of The Dish, we will present the numbers accompanying this success. The biomedical PhD training process, though, is more than a numbers game. It provides students with an opportunity to develop a broad skill set that not only portends success in the academic track but also transcends the academic enterprise; skills such as creative problem solving, effective verbal and written communication, teamwork skills, and the often under-appreciated ability to finish projects successfully. Indeed, more and more professions are realizing the value (and availability) of biomedical science PhDs and targeting them for employment. Given the current limited availability of faculty positions, it is heartening to know that our graduates have many different career paths open to them, and we continue to expand our efforts to provide information about these career opportunities during the PhD years. This is clearly a “win” for both our PhD students and the research enterprise. Our graduate students contribute substantially to the creativity and overall success of their fields, and in so doing they become very well-trained for a diverse set of future careers. The latter is supported clearly by information from the NIH that the unemployment rate across the STEM fields is <2.5% (and it is lower still for BGS graduates). One pivotal career resource for our current students is our former students, who have populated many different walks of life. This is why we have focused considerable effort towards designing our 30th Anniversary Event to optimize interactions between our alums (including those from the pre-BGS era!) and our current students. This will include a series of Career Panel Sessions (Oct. 9) and a Career Fair (Oct. 10), all staffed by our alums. As I mentioned previously in this column, we also aim to use our upcoming Event to kick-off our first significant fundraising effort. A primary goal of this effort is to enable graduate student support to become at least partly independent of the grant funding process. As most of you already know, governmental support for biomedical research has lagged, and the prospects for a rebound are uncertain at best. Therefore, to ensure that we will maintain the Penn research and training enterprise at the highest level possible, we need to build a support structure which parallels the traditional sources of support. Therefore, I am hoping that you will join us in this effort by donating to the BGS General Fund. Who better to appreciate the value of our programs than you, our alums, students and faculty?! While we will also reach out into the world with this fundraising effort, I hope that you will help us start down this road with your individual contributions. No gift is too small. Every gift counts; it represents not only fiscal growth but a show of solidarity towards our goals. It is mid-August as I write this column. October is fast-approaching! Plan now to join us! I hope to see you then, at our 30th Anniversary/Alumni Revisit Weekend! Register now at The Event. Until then, happy trails to you. Why do Organisms Become Treatment Resistant? For almost as long as antibiotics have existed, so too have "superbugs" — bacteria that become immune to antibiotics. Researchers continue to struggle to answer, “why do organisms become treatment resistant?" Heather W. Pinkett, GR’04, ponders this question every day. 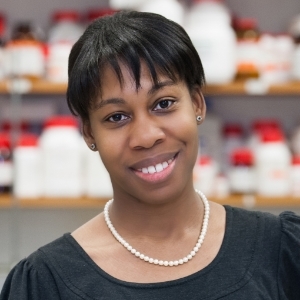 As Associate Professor of Molecular Biosciences at Northwestern University, Dr. Pinkett explores the role that ATP Binding Cassette (ABC) transporters, a family of proteins, play in multi-drug resistance. Present in many bacterial and mammalian cells, ABC transporters regulate the transportation of everything from nutrients to pharmaceuticals to toxins into and out of the cell. Pinkett’s work has broad applications in not only antibiotic resistance, but also chemotherapeutic drug resistance in cancer. Pinkett first cultivated her penchant for research during a two-year stay at the NIH. After studying Biochemistry at Connecticut College, she received an NIH Postbac Intramural Research Training Award to do research within NHGRI. “It was such an enjoyable time in my life because it was just 100% research all the time.” She became interested in looking at how a protein's function is affected when it has a mutation, which sparked her transition from genetics research to structural biology. Resolved to pursue a graduate degree, Pinkett says Penn was an easy choice. “There were a number of structural biologists at Penn doing very diverse research," including Ronen Mamorstein and Roger Burnett. "I said, OK, this is the right place." While at Penn, she found her mentor in BMB faculty member Mitchell Lewis, whom Pinkett describes as "an extraordinary person — extremely intelligent, but he makes everything look so very easy. He has a love of research and a love of teaching." Now with her own students, Pinkett tries to emulate his teaching style. "Mitch would remember how many siblings you had and ask about your family. He’s the kind of person that cares about the whole you. Mitch inspired me to be the same way with my students.” She also benefits from a few tricks she learned from him, including how to recruit freshman from the pre-med track. "In my intro classes, I pay very close attention to the students who more easily grasp the material and ask interesting follow-up questions." She then gives them a little push: "It’s never too early to get into the lab and discover whether or not this is really for you." Students in Penn’s Neuroscience Graduate Group (NGG) have busy schedules. With lab courses, rotations, research proposals, and dissertations, it is challenging to balance all these responsibilities and still have a personal life. And yet, on top of all of this, a majority of NGG students find time to educate their peers and the Greater Philadelphia community about neuroscience. Founded in 2011, the Graduate-Led Initiatives and Activities student committee, or GLIA as it is fondly known, is a student-led organization that, in addition to coordinating seminars and lectures for NGG students, also hosts community outreach and educational programs, introducing basic neuroscience concepts to the general public. It all started when NGG Chair Josh Gold held an open forum for students to discuss the growing need to introduce NGG students to a wider variety of career opportunities. One attendee, Jesse Isaacman-Beck, who later became one of GLIA’s co-founders, described how at Penn, “we work directly with people who are academics, so that’s the perspective that we get. Josh and the NGG administration recognized that not everyone is going to follow that trajectory.” Around the same time, many NGG students were already independently exploring opportunities to further pursue their passions for teaching, writing, and science policy. “Students were eager to pass on their love of science and their belief that the public should be aware of what they do, so GLIA was a logical next step,” said Isaacman-Beck. With guidance from the NGG administration, the students launched an organization with its own mission statement, guidelines, and structure to ensure its sustainability for years to come. As it has grown, the set of activities that GLIA oversees and manages has diversified, including coordinating the Return of NGG Alumni (RNA) Speaker Series. RNA brings together current students with NGG alumni from a diverse range of professions, providing students with networking opportunities and information on possible future careers. In an effort to reach out to the greater community, GLIA plans its biannual Neuroscience Public Lecture Series, a free event in which Penn faculty members offer fifteen minute TED-style talks on their research geared towards the general Philadelphia public. Drawing an audience of over 270 people, the series’ most recent installment in March 2015 boasted presentations by leading Penn researchers, including Dr. Virginia Lee, Director of Penn’s Center for Neurodegenerative Disease Research. While providing organization for existing activities, a major goal of GLIA is to offer students the resources to develop new ideas into opportunities that will ultimately benefit the wider NGG community. The needs of each incoming class help to shape the scope of GLIA for that year. One such new endeavor involves expanding the group’s educational outreach. Through its partnership with the U.S. Department of Education’s Upward Bound program, GLIA already coordinates visits and summer courses at local high schools, exposing students from underserved communities to the basics of neuroscience, such as how the brain and nervous system work. This year, GLIA will launch a new initiative in collaboration with the Netter Center for Community Partnerships to market an NGG student-designed curriculum to schools around the nation so that they can establish their own programs. “More than ever, our lives now depend on science and technology. It's important to get that across to kids and instill in them a passion for science from a young age,” said Parthasarathi. For more information about GLIA, visit https://nggglia.wordpress.com/ or email the GLIA Co-Directors directly at NGG.GLIA@gmail.com with questions. On July 1, Jonathan A. Epstein, MD, officially assumed the position of Executive Vice Dean and Chief Scientific Officer at the Perelman School of Medicine. A truly outstanding academic leader, Dr. Epstein shaped the School’s Department of Cell and Developmental Biology into one of the nation’s finest, served as founding Co-Director of Penn Medicine’s Institute for Regenerative Medicine, and directed the Clinical Investigator Pathway within the residency program in the Department of Medicine. Dr. Epstein will be tasked with advancing the integrated model of Penn Medicine to promote further collaboration, basic discovery and translational research, as well as administrative efficiency. He will work closely with leaders at the University of Pennsylvania Health System to ensure a holistic approach to major decisions and initiatives. “Our alumni have played and continue to play a vital role in our School’s 250-year history of success. I look forward to engaging with this prestigious group as I take on my new role to help ensure that the School remains at the forefront of medical education, groundbreaking research, and leading-edge clinical care,” Dr. Epstein said. Dr. Epstein first joined Penn Medicine in 1996 as Assistant Professor of Medicine, becoming one of the world’s most innovative and renowned investigators in molecular cardiology. His lab focuses on cardiovascular development, the genetics of congenital heart disease, and cardiovascular regenerative and stem biology; one of his most recent findings was the focus of a cover story in the journal Science. He has also served as the William Wikoff Smith Professor of Cardiovascular Research and Scientific Director of the Penn Cardiovascular Institute. For more information on Dr. Epstein’s career, background, and new role, see this Penn Medicine news release. 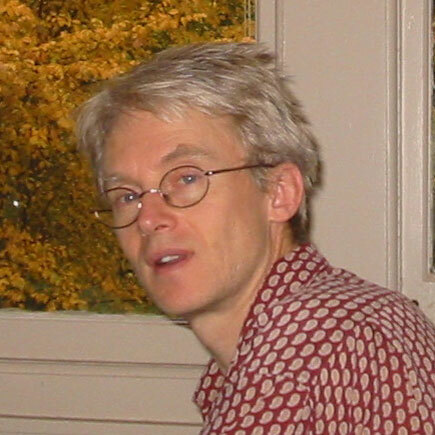 Congratulations to Kim Sharp, PhD, Associate Professor of Biochemistry & Molecular Biophysics, who became BMB's new Graduate Group Chair on July 1, 2015. In a joint venture with the NGG Executive Committee and BGS, GLIA is now spearheading the development of a new program, NGG NeuroNet. The goal of NGG NeuroNet is to help foster lasting professional and personal relationships among our current students and alumni. Through online resources, networking opportunities, and broader social events, NGG NeuroNet will ensure that our program’s talented alumni remain strongly connected to the NGG and to each other. In the upcoming days, NGG alumni will receive an invitation to join the NGG NeuroNet LinkedIN group. The registration table will open on Thursday afternoon, October 8, 2015 in the BRB lobby. Join us for Graduate Group Reunion events on Thursday evening. *Details above subject to change. The Biochemistry & Biophysics Department and the Biochemistry & Molecular Biophysics Graduate Group will host their 32nd Annual Retreat at Skytop Lodge in the Pocono Mountains on November 12-13, 2015. For details, please email BMB Coordinator, Ruth Keris. Please contact Sarah Squire (sasquire@mail.med.upenn.edu) if you’re interested in attending or learning more. Please contact Mary Taylor (tayma@mail.med.upenn.edu) if you’re interested in attending or learning more.